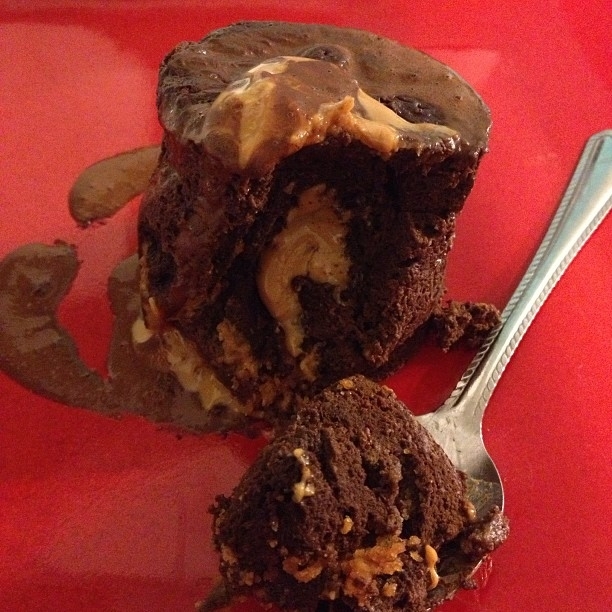 Anything Chocolate and Peanut Butter... you can't go wrong! Mix ingredients well and pour in a mug. Spoon in some PB and microwave for 2 minutes.